You already know that a small business owner, you would need liability insurance and property insurance. After all, the best property insurance policies protect business assets. However, if you are not the only one manning your business, which means that you have employees, you are also required to have insurance for your employees. One of the things that you may not realize that you need is auto insurance. You have done your best in order to understand the different tools, machines, and other items that you need to produce the items that you want to sell. If you are offering services, you have researched about how you can always improve the services that you will offer to your customers. The thing is, you have not researched far enough in order to understand the various insurance types and their importance to your business. You need to be aware of the common perils that you are going to face because of having a business. There are some accidents that may occur. Some of your items may also break intentionally or unintentionally. The most important thing to remember about getting the right insurance policies is this: you need different types of insurance in order to help your business survive. There will be tough times ahead and you want to make sure that the costs of the liability claims and property damage claims will be properly addressed. Some business owners may think that they can handle everything on their own until they realize that they have to spend thousands of dollars on different expenses. 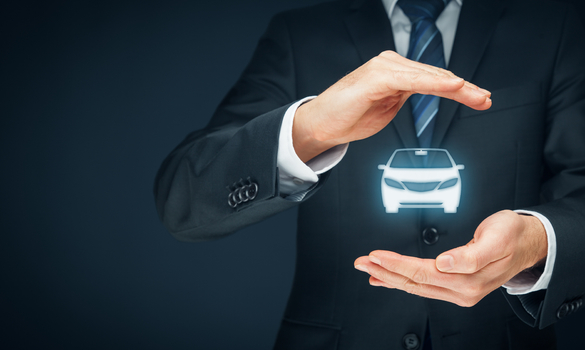 Why do you need auto insurance for your business? This is going to be most ideal if you need to use a vehicle in order to deliver your goods, get your supplies, and so much more. Construction business owners who want to optimize construction site safety and limit liability need auto insurance. Using a commercial vehicle related to your business needs will come with a lot of risks and it is best if you would be prepared. You need to understand first what commercial auto insurance is. This is the type of insurance that will allow you to repair or replace the cars that you use for company purposes. If you are going to use your personal car for business-related purposes, you will not be able to get insurance for it. If something happens to the vehicle, you would need to shoulder the costs and this can be very expensive. Commercial auto insurance can be useful not only for cars but also for trucks and semi-trucks. At the same time, this can also be helpful in providing the medical assistance needed by employees who may have gotten injured while driving the vehicle. Your business would need to deliver goods using your own vehicle. You also have to transport people or your employees from one place to another. Your business would need to safely transport hazardous materials. There is a need for you to move different equipment from one place to another. Your equipment will be used in order to tow other vehicles. If you answer yes to more than one of these specifications mentioned above, you are recommended to get an anonymous auto insurance quote at the soonest possible time. You just need to get one insurance policy to get all of those that are mentioned above. Just imagine how convenient this can be. Commercial flood insurance is an insurance policy that you may choose to get if your business warehouse is located in a flood-prone area. If in case your items become damaged by the flood, you can get help to cover the damages that occurred. If you have employees who are working for you, you have to make sure that you will protect them while they are on the job. This means that if they become injured or they become ill while on the job, the insurance will help cover the expenses that the employee may need. This can also be helpful if the employee unfortunately dies. The benefits can be forwarded to the family of the employee. Now that you know the different insurance policies, make sure to get an anonymous auto insurance quote as well as the other insurance quotes that you can get.